The penultimate review in the story-a-day 7th Anniversary Fun Run! Eben Smith is frustrated with government, who has offered (ordered?) to pay him to plow under his crops. But, these crops are “tangibles”, as Eben says, and it don’t make no sense to him. So he piles up the vegetables in his wagon, and heads off to find a buyer, leaving his wife to worry about him causing trouble with the government. A day or so later, he arrives at The Crossroads. Four roads meet there; one concrete, one full of boulders, not passable except on foot. Another was made of metal. That leaves his own, a dirt road with a double row of ruts made by wagon wheels. Eben, not sure where to go from there, stops and waits for “someone with information”. Eben has visitors, of course, and is a shrewd trader. Each visitor has his own quirks, and his own things he finds valuable. Eben sees things no farmer from the 1940’s has ever seen. The story has a good quality. It’s very enjoyable pulp fiction, originally published in Unknown Fantasy Fiction in February 1941. It reminds me a bit of Clifford D. Simak, who, 17 years later, wrote “The Big Front Yard”. Eben has the same sort of can-do attitude as the main character in that story. Just as interesting are Eben’s distrust and criticism of the US government. Not much has changed in the last 70 years. 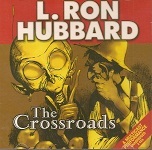 This CD is one of many in a series of L. Ron Hubbard stories published by Galaxy Press. It was extremely well done. There’s a main narrator, behind which are sound effects. Other actors perform the dialogue. Birds chirping set the roadside scene at high noon, and none of the effect are overpowering. Most of Eben’s visitors speak English, but one of them doesn’t. The spoken language was very well done, too. 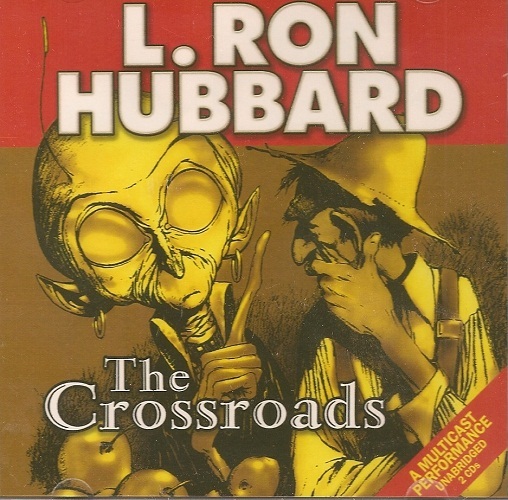 I become convinced after listening to this, the excellent Warhammer titles from The Black Library, and the great stuff coming from Graphic Audio, that it is not this type of audiobook I dislike. If it’s done well, it’s good stuff. It’s just so easy to do terribly. With a pair of headphones, this was a very enjoyable listen.